A perfect chaser for the talk by Walter Iuozzolino, he of Walter Presents, had to be the talk given by crime drama writer-creators Hans Rosenfeldt, of Swedish/Danish production The Bridge (Bron/Broen), and Ed Thomas, writer-creator of Welsh/English crime drama Hinterland (Y Gwyll). Walter curates subtitled drama, but what goes into writing – and indeed, creating – dramas which are filmed in two languages? This fascinating talk was hosted by Lisa Holdsworth, who has written for New Tricks, Robin Hood and Midsomer Murders, amongst others. So let’s start off in Scandinavia, with The Bridge, a crime drama with slightly surreal elements, set between Copenhagen in Denmark and Malmö in Sweden, connected by the Øresund Bridge. It’s been a huge hit, and a US/Mexican show The Bridge, and a UK/French show The Tunnel, have been based on The Bridge‘s clever premise. It seems that Hans writes the majority of The Bridge, and then episode writers are brought in. He writes in Swedish, and then after the third draft, the Danish parts get their translation. Even the lead actors pitch in – Hans said that Thure Lindhardt, who plays Henrik Sabroe in series 3 and 4, especially has input. “Ro… Ruuu…. what?” Saga. left, and Martin, right. And so what about Hinterland? Ed Thomas said that there’s three versions: an entirely Welsh version (shown on S4C), an entirely English version (subtitled and exported to places like Germany, and shown on Netflix), and a mixed Welsh/English version (shown on BBC4). 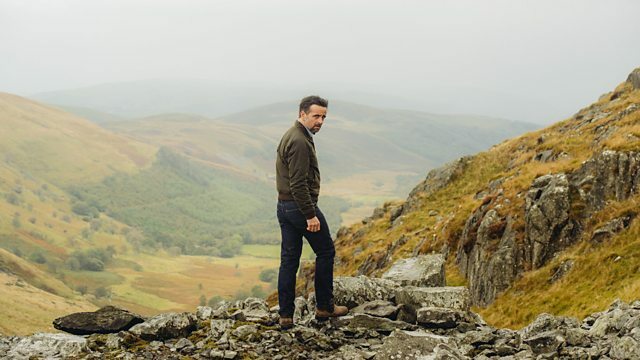 Hinterland was designed before it was written, so they decided where it would be shot, to make it as local as possible. They had to work out how to handle an entirely Welsh-language police procedural, cutting out pathology scenes, as the Welsh terms would be difficult. They had to omit police briefings, which Ed said are done in English even in Welsh-speaking areas. Neither Ed nor writing colleague Ed Talfan had written a police procedural before, but I suspect this means that they were able to approach the genre from a fresh angle. We saw a Welsh clip of Hinterland, where the police questioned someone, followed by the English version of the same scene. Ed’s explanation was fascinating. English has a bigger vocabulary than Welsh, so the language can be more precise. Welsh, he says, has to ‘swing around a bit’ and be more poetic in order to get the same meaning and information across. Some of the actors usually work in only one language, so when speaking in the other language, they can sound a bit stilted. In order to deal with the precision of the English version, and the poetry of the Welsh version, they score the same scene differently. So the English version will get softer music, and the Welsh version is scored in order to stiffen it. And what about the subtitles? Ed says that he sometimes sends them back – he likes to play with the literal subtitling, and I can see why a writer would want to. Hans says (should I commit this to the internet?) that he’s not always happy with the subtitles on Netflix. He thinks that sometimes they can make things hard to understand, and things get lost in translation. I can see his point – on the BluRay of series three of The Bridge, Henrik keeps calling Saga ‘Wiki’ – as in Wikipedia, as she’s always churning out facts. At one crucial scene, he shouts across to her, ‘Hej, Wiki!’ but it was subtitled as ‘Hey there.’ Why didn’t they show that he had called her by her nickname? It seemed really poignant, as he tried to show his affection for her, and unless you heard him say it, you missed it. Pah. Hans spoke briefly about working on Marcella. He had hoped that it would be a new way of working, but alas, he discovered that it was ‘almost identical,’ just in a different language. So let’s get back to The Bridge. Hans explained how the idea had developed. I know people yawn when someone asks a writer where they get their ideas from, but we do all want to know really. He knew that it would have to be a 10-hour long series, bilingual in Danish and Swedish. It would be a thriller, a police procedural. But he wanted to make the Danish/Swedish aspect convincing. There is a long history of Swedish/German co-productions – in order to get German money, a German actor would have to be used somehow, and he says that this hasn’t always been entirely successful. DCI Shoehorn reporting for duty…. So he thought, what would happen if you put a body exactly on the border? It turns out that if the deceased was a Swede, the case is handled by the Swedish police. And so this is where the idea of two halves of different bodies placed exactly on the border came from – one half is that of a Swede, the other half that of a Dane, and it meant that convincingly the Danish and Swedish police characters would work together (as long as you accept that the murderer is completely barmy). Hans wanted Kim Bodnia as the Danish detective. He’s always playing villainous tough guys, and Hans deliberately cast him against type – he wanted a detective who was more emotional, to get away from the cliché of the hard drinking, divorced detective. So Kim’s character, Martin, chats with his colleagues, and was deliberately given female traits. And so who is his counterpart? A woman – but with all her social skills taken away. So Saga Norén was born, a character who many viewers consider to be on the autistic spectrum. Hans works backwards from who the killer is, and why they did it. So he always knows where to end up, and where everything has to lead. He might sometimes change bits, but he never changes who does it and why. 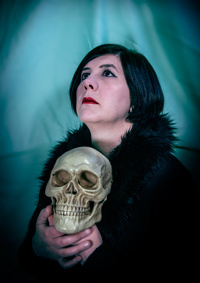 Lisa was surprised when he said this – she’s written scripts where she’s started off knowing whodunnit and why, but then as she gets towards the end, suddenly realises the killer should be another character! I wonder myself how this works for viewers – Hans has to deliberately mislead audiences from solving the case (in The Bridge, he achieves this by properly introducing the killer around the seventh episode). Whereas Lisa is leading you up one path and then suddenly up another. Lisa asked them how they feel about box-sets. Ed commented that The Sopranos changed the way TV is made, showing that ‘stories don’t have to be told in ninety minutes.’ He said that people are hungry for stories, and that a TV series has time to forensically dissect one small story. ‘It means even the Welsh could do a cop show.’ Hans approves of binge-watching, but laments the loss of water-cooler conversations, where audiences have a week to discuss the latest episode and swap theories. And so what’s next? Hans gritted his teeth. He wasn’t allowed to divulge the plot, but could say that the filming of series four of The Bridge would start in mid-November, and would probably be shown all over Europe in January 2018. It’s the final series, though – ‘but it’s going to really, really good.’ And he could reveal that it would follow up on series three and the mystery of what’s become of Henrik’s daughters. 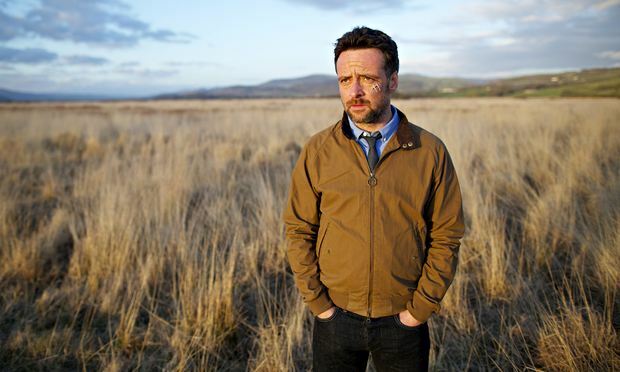 Ed said that the third series of Hinterland would start on S4C at the end of October. They’d wanted to make thirteen episodes, and series three would take them up to thirteen, but, he said, they might make more. Henrik (left) and Saga (right). I wouldn’t recommend them as babysitters. Thank you to the organisers of the Birmingham Literature Festival for arranging such fab speakers for us. And I’m really very sorry if I distracted anyone by sitting in the second row from the front and writing very quickly – I’m a bit deaf so I daren’t sit further back. And I do just happen to write quickly. The following day, I went to Simon Brett’s crime-writing masterclass, and he actually mentioned the clip from The Bridge, as he was also in the audience. 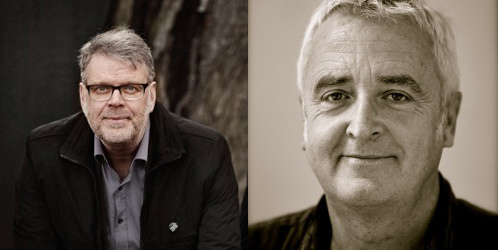 Simon concurs with Hans Rosenfeldt – don’t get too caught up in reality with your fiction. As long as it’s cool, you can get away with murder.1)Not literally.